Rams Horn Village Resort is a time share resort at the edge of Rocky Mountain National Park. If you want to own a little piece of Estes Park, see my friends Deb and Alex. Rentals also available. McGregor Mountain Lodge offers cabins and suites resting aside McGregor Mtn, one of the best wildlife spots in Estes Park. River Spruce Cabins get your own cabin along the Big Thompson river. Relax along the river at a resort along quite route 66. Swiftcurrent Lodge along the Big Thompson River and next to one of Estes Park's best resturants, Dunraven Inn. Lodge and Cottage options are perfect for a quite relaxing vacation still within a few minutes drive of town and even less for the National Park. Wildwood Inn is right next to McGregor Mountain Lodge and offers condo options with more luxary options including hot tubs in your room. Same great wildlife option and a great place to relax in the mountains. Mountain Valley Home B&B Inn gets a lot of great reviews from my clients. Sonnenhof Bed and Breakfast is another great highly ranked B&B in Estes. Silver Moon Inn is a good downtown Estes Park hotel option for folks looking for a nice affordable hotel, and great for those folks that don't have their own transportation. Deer Crest is a family run hotel along the Fall River. Just outside of town, it often has wildlife and a relaxing atmosphere. Maxwell Inn is a smaller hotel just outside of downtown with good rates and nice people. 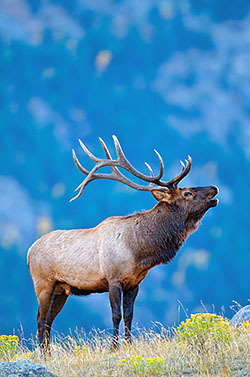 If your looking for additional lodging options check out these great Estes Park websites. Smokin Dave's BBQ & Taphouse - If you love BBQ, Dave's is the place for you. The Warming House is my one stop shop for all my hiking and snowshoe gear. 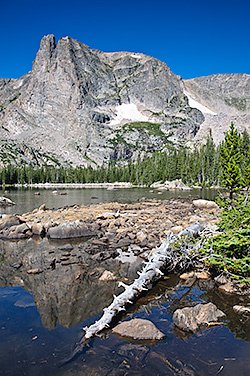 Erik Stensland of Images of RMNP is without a doubt one of thee best landscape photographers in Rocky Mountain National Park, be sure to visit his gallery online and in Estes Park. Aspen and Evergreen is a fantastic gallery of not just photography but also art in all mediums. Laramie River Ranch - If you want a true dude ranch experience the Laramie River Ranch is the place for you. Rocky Mountain Nature Association - sponsers the Park's Visitor Centers and other programs as well as offering Field Seminars on various topics.